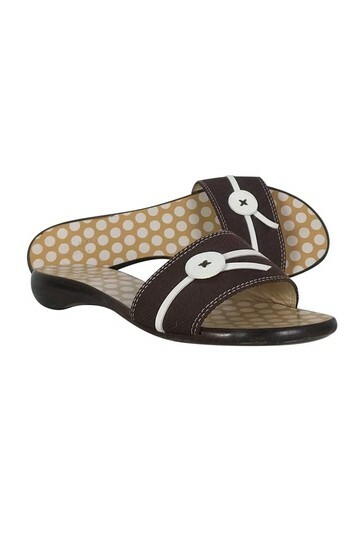 Slip into these chic sandals from the iconic Kate Spade brand. 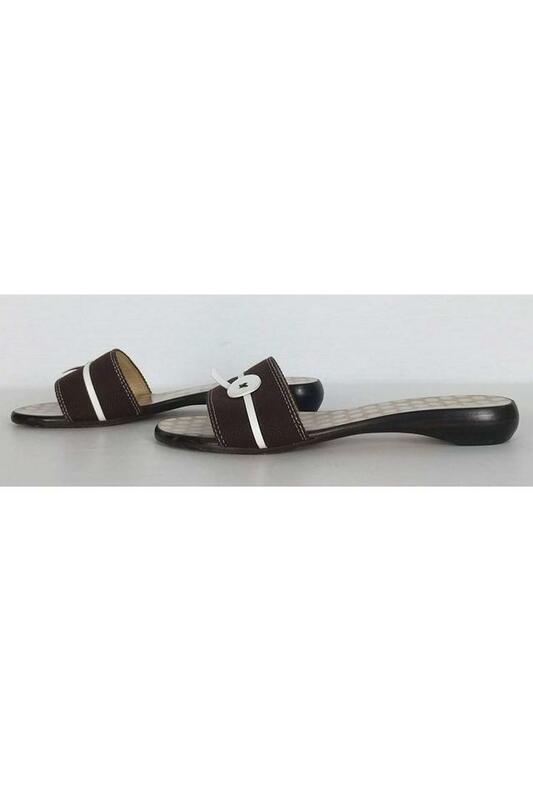 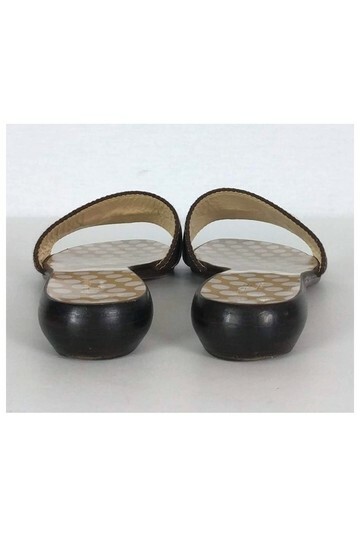 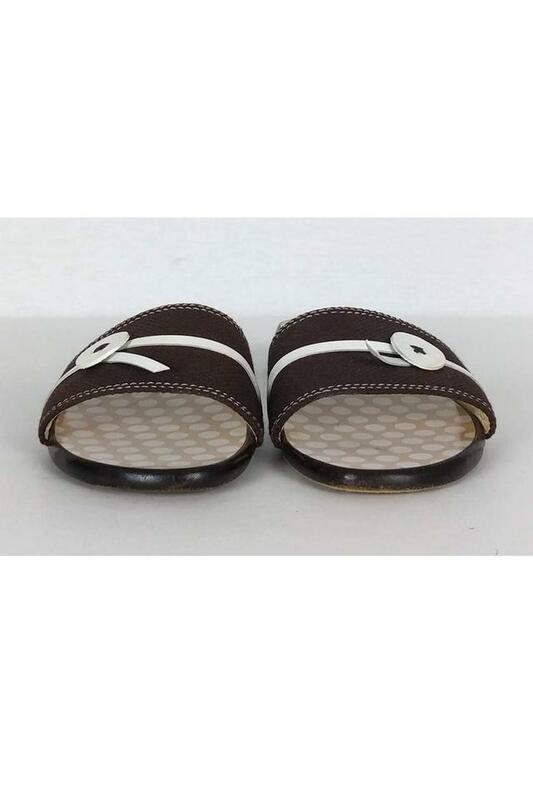 Their brown front strap is complemented by a white button detail. A polka dot lining adds a contrasting look.